Last week, as the Indian hockey team beat reigning Olympic champions Argentina in their second match at the ongoing Champions Trophy, it marked a memorable upset for India, the kind that have become rare of late. However, for the team’s veteran Sardar Singh, the game was extra special. It was Sardar’s 300th game for the country. It was an emotional moment for the 31-year-old and his teammates made sure he savoured it. He talks about how his teammates did a special team meeting hours before the game for him. He recounts, “Before we left for the stadium that day, we had a team meeting where the players presented a signed Indian jersey for me. It was a very emotional moment. They made me deliver a speech where I shared my journey from my junior days and how I started playing. It was very nostalgic.” Sardar says the team promised him that they would win the all-important game for him. 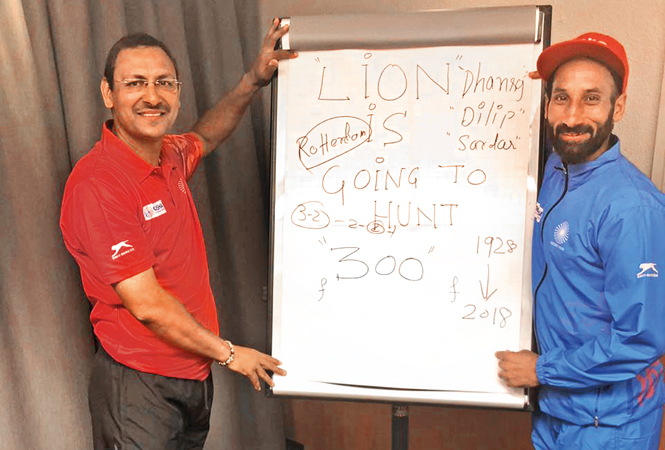 “Harendra sir (Harendra Singh, the newly-appointed Indian coach) had written on the drawing board that ‘Today, the Lion will Hunt’ and the team told me, ‘we will win today’s match for you.’ And we did! To beat Argentina, which is one of the top teams in the world; it was a matter of great pride for me. I thank my teammates for their constant support, they are my extended family,” says Sardar. Sardar Singh: My team told me that since it’s my 300th match, they’ll win it, and we did!